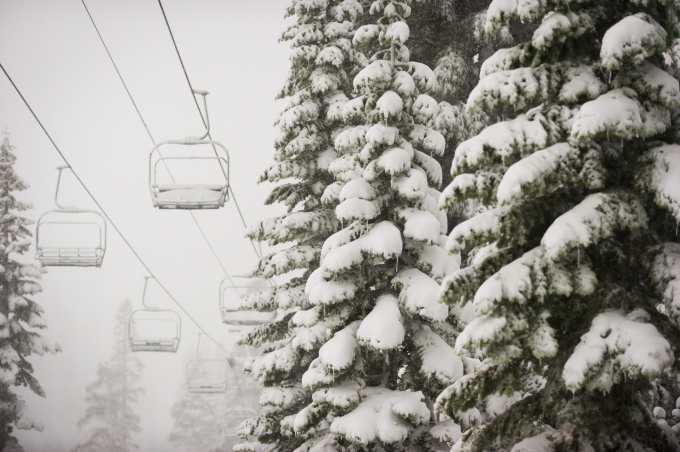 Mammoth Mountain Set For Five-Day Snow Totals of 5- 6 feet. California may have missed out on the storms that hit Colorado and other western states in the US in early November, but things have changed dramatically in the past couple of weeks. 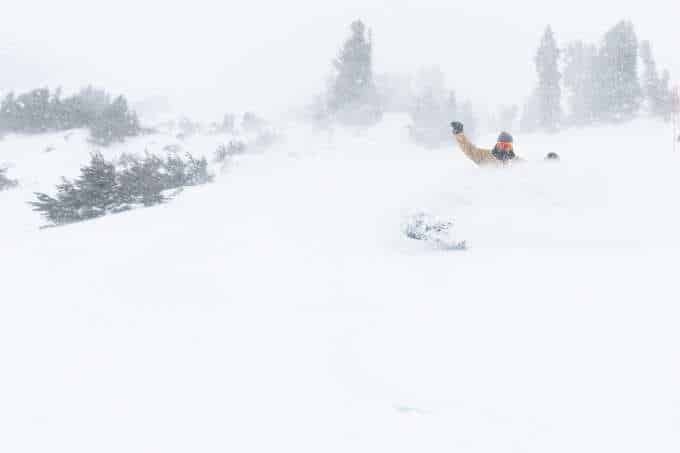 The first winter storm hit the Sierras last week, dropping 45cms in the Tahoe resorts and 75cms over three days in Mammoth. Deep drifts at the base of Mammoth this morning. Photo: @Josh_wray @Visitmammoth. 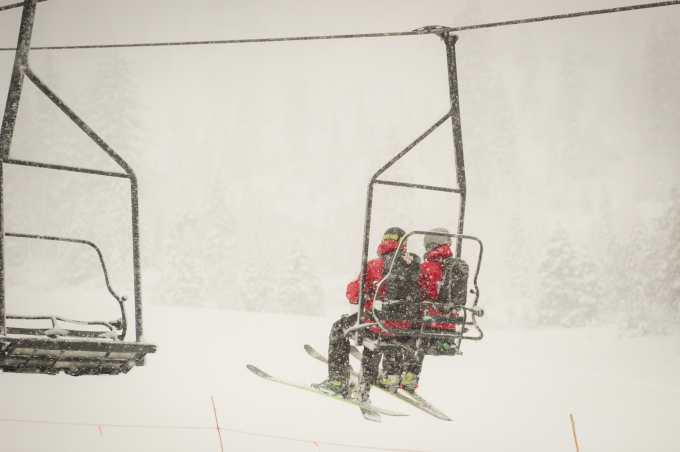 There was short break earlier this week, before the next storm came through and it has been dumping across the Californian resorts for the past 48 hours. The totals for this storm are already impressive, Mammoth with 48cms at the base and 76cms at the top in the past 48 hours and it has been snowing steadily for most of today. The storm is set to intensify tonight with another 50-75cms likely by tomorrow morning. One to 1.5 metres isn’t a bad three-day total! 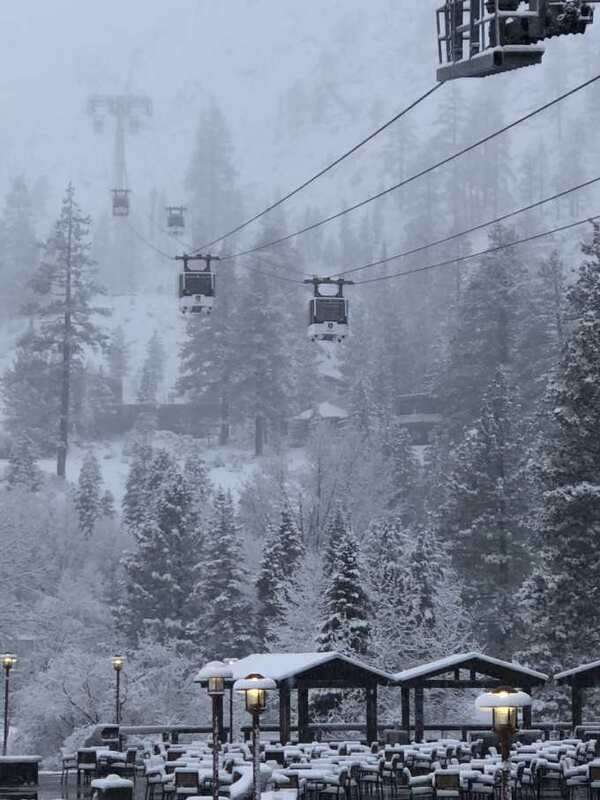 Early season powder turns in Mammoth today and there will be a lot more this weekend. Photo: @Josh_wray @Visitmammoth. There is plenty of wind with the storm which caused wind-hold issues today, but things should calm down overnight. Tomorrow could be an epic early-season day in Mammoth, although patrol may have some avalanche work to do in the morning. Further north the resorts around Lake Tahoe have also been copping it with colder temps today seeing snow down to lake level. Squaw Valley, Northstar and Kirkwood all have some impressive totals with 35-45cms in in the past two days while Heavenly has had 18cms. 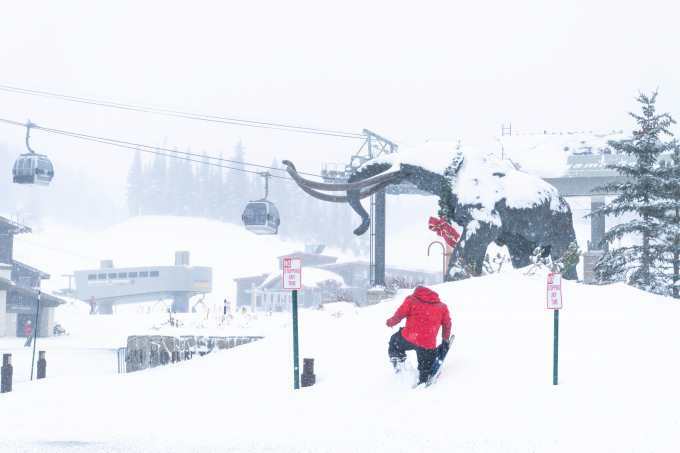 Those were the totals this morning and snowfalls continued throughout the day and another 15-30cms is expected for the Tahoe resorts in the next 18 hours. This storm is expected to move east by tomorrow, delivering snow to Utah and Colorado, although the totals will not be as high as what we’ve seen in California. However, the break will be short, with another storm moving into California tomorrow night. This one is set to deliver another 15-25cms in the Tahoe resorts with temps down to -6 celsius, so there’s a good powder day on the way. The next storm has a lot of cold air with snow forecast down to lake levels in Tahoe. This second storm is also looking good for Mammoth with another 15-30cms of cold, dry snow expected by Sunday morning. That will take Mammoth’s total out of these storms to a whopping 100-167cms (3.5 to 5.5 feet!) in under a week. And, guess what? 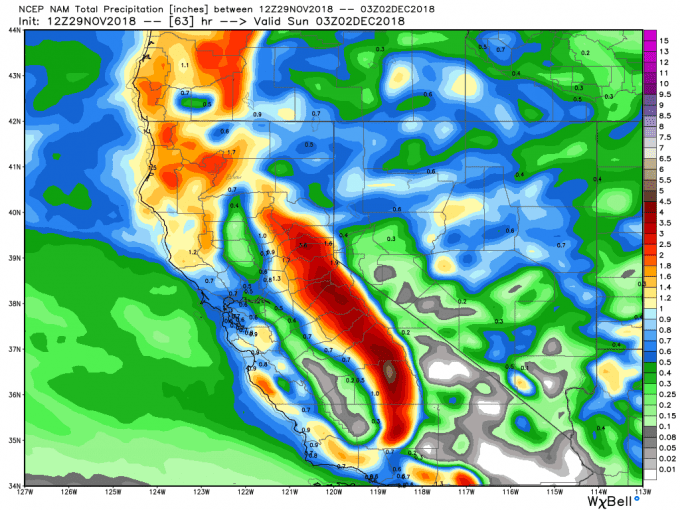 It looks like a couple of more storms are heading for California next week.